St George’s Stamford is looking to appoint an Associate Rector to support our development as a Resource Church in Lincoln Diocese. 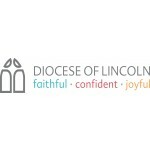 The purpose of this new initiative funded by money from the Strategic Development Fund is to renew the urban church in the larger urban centres of Lincoln Diocese where under 1% of the local population attend an Anglican church. Sharing in the overall leadership of St George’s Stamford. Maintaining your own emotionally healthy spirituality. Line managing the staff team. Leading inspiring worship and an engaging and effective preaching and teaching ministry. Exercising a pastoral ministry within the Church and community. Supporting our commitment to prayer, bible study, evangelism, social action and whole life discipleship. Supporting the development of St George’s to become an effective resourcing church for the larger market towns (urban areas) in Lincolnshire. Supporting our continued mission and growth within Stamford. Supporting the integration of new disciples and members into the life of the church. Supporting the church’s ministry to children, families, young people and young adults. Developing leaders to support the wider vision of making disciples on mission with Jesus. Ensuring every member is valued, nurtured and equipped to be a devoted dependent disciple of Jesus in the power of the Holy Spirit, and developing disciples who make further disciples. St George’s is looking for someone who has a vision for market town ministry, experience in a growing all age church, an ability to lead and inspire others and faith that believes great things from God. We are looking for someone who can demonstrate evidence of practical disciple-making activity, with a collaborative approach to ministry and strong preaching and teaching gifts. We are looking for someone who wants to grow in his or her gifts, ministry experience, personal discipleship, and who has a sense the Lord may be calling them to this role. An opportunity to join a designated Resource Church with a national vision for Market Towns. The benefit of an excellent and supportive staff team. A creative and faith filled environment for seeking God’s Kingdom and growing in ministry experience. An opportunity to focus on your strengths as our team complement each other according to gifting. An all age 0-90 church family where there is genuine ministry in all age groups. Financial support for conferences, training and retreats. Six weeks holiday a year and full expenses. Please follow the links below to find out more about us.